A structure that defines Mumbai in a snapshot, the Victoria Terminus, rechristened the Chhatrapati Shivaji Terminus is an incredible legacy chiseled in stone. 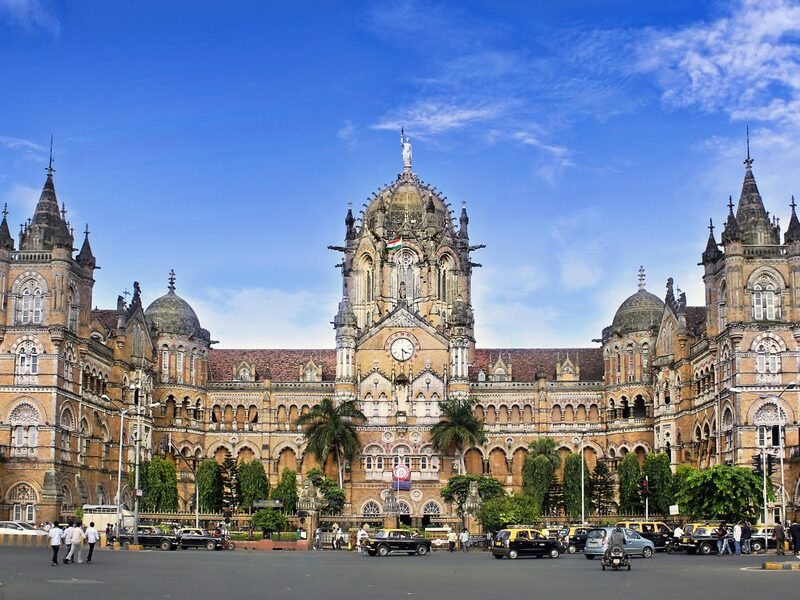 The landmark Chhatrapati Shivaji Terminus building stands tall and imposing in the heart of Mumbai, oblivious to the scores of people that traverse its hallways every day. The iconic railway station, steeped in history is quite-literally the nerve centre of the city, what with 30 lakh-odd commuters travelling through it on a daily basis. As the sea of people push, jostle and shove to make it into their designated local train within these old walls, it’s a scene juxtaposing the past and present perfectly. 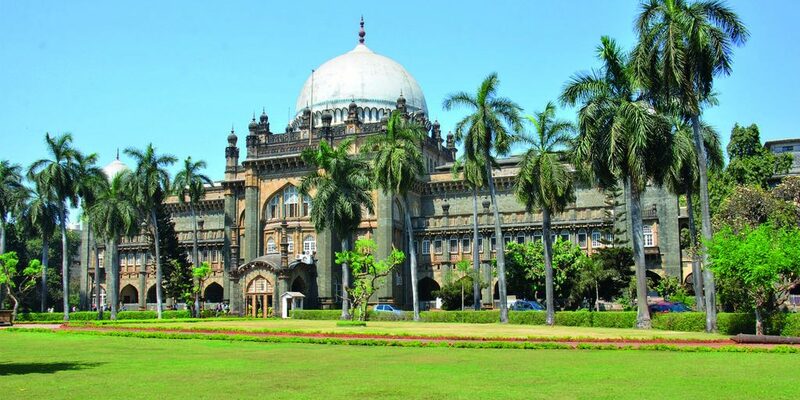 Each dome, stained-glass window and turret of the CST has a tale to tell. The construction of this grand old structure began in 1878. Designed by renowned British architect F.W. Stevens, this Victorian Gothic structure, with its domes representing the Indian influence took a good ten years to build. The crowning glory of the CST is the central dome itself which also houses a heritage room. Many of the gargoyles and carvings were done by Lockwood Kipling, a professor from the Sir JJ School of Arts who incidentally was the father of the celebrated British-Indian author, Rudyard Kipling. Even as far back as the 19th century the construction of this mammoth structure cost a whopping 260,000 pounds. What sets this building apart from many other heritage building is the fact that it’s still serving the same function – i.e. the headquarters of the Central Railway – since the time it was built. It’s little wonder then that the CST which is historically, architecturally and culturally so important made it to the UNESCO World Heritage List in 2004. Figuring on the prestigious UNESCO list has heightened the awareness to preserve such historical buildings and also commenced major restoration work. The Mumbai Heritage Conservation Committee has done much work in this regard. “It’s our duty to safeguard these buildings that have been listed on UNESCO after a detailed survey. It’s the owner who is responsible for the maintenance of the buildings; in this case the Central Railway. However, if a certain building requires work, we send a notice to the concerned party,” say Mr. Afzulpurkar, Chairman of the Mumbai Heritage Conservation Committee. All new structures around the site have to be in harmony with the existing heritage structure. Undoubtedly, the CST is one of Mumbai’s landmark buildings but there are equally impressive buildings in the vicinity, a legacy left by the Raj, that have weathered the passage of time along with it. Right opposite the railway station is the Bombay Municipal Corporation Building, ornately embellished with gargoyles and carvings; another creation by F.W. Stevens. Adjacent to this structure is the building that houses Mumbai’s oldest daily, The Times of India. From heads of state of film stars, The Times of India building has played host to many luminaries over the decades. Within the radius of a few kilometers are many other masterpieces that make up the history of the city – The Gateway of India, The Taj Mahal Hotel, The Prince of Wales Museum (now known as the Chhatrapati Shivaji Maharaj Vastu Sangrahalaya) University Hall & Library, Rajabai Tower and the Asiatic Library to name a few. Sadly, a number of historical buildings in Mumbai are in various states of disrepair. However, awareness is half the battle won and considerable efforts are being made to restore these works of art to their former glory. Over the decades, Mumbai has earned the moniker of the ‘city that never sleeps.’ But amidst all that buzz, lies a historical and architectural marvel that continues to fascinate all. 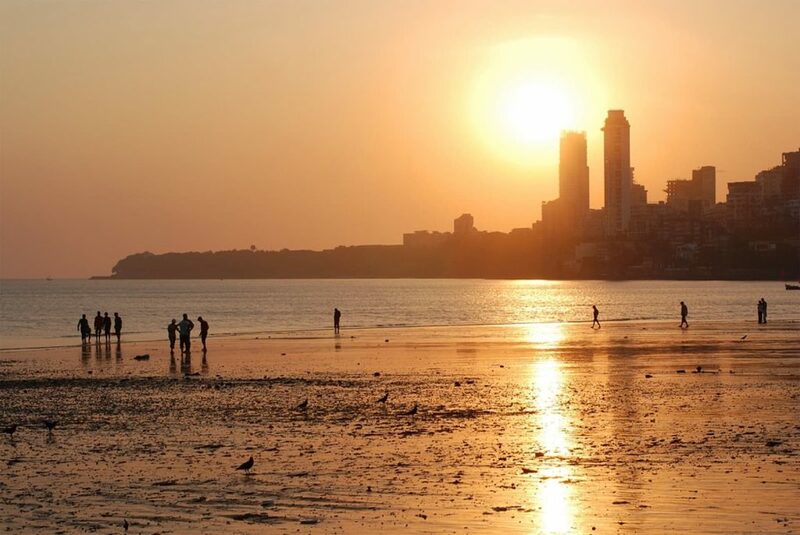 Enjoy the view of Mumbai’s beautiful coastline while walking down Marine Drive. The Chowpatty beach at the end of Marine Drive is famous for its street food like Pav Bhaji and Chaat. Mumbai is the centre of the Hindi film industry, popularly known as Bollywood. One can visit Film City, the studio complex with prior permission. And if you’re lucky, you might just catch a glimpse of your favorite star! An hour-long ferry ride from the Gateway of India will take you to Elephanta Cave. A UNESCO World Heritage Site, these caves contain beautiful statues and carving of Hindu deities.